Albert Einstein was the embodiment of pure intellect, the bumbling professor with the German accent, a comic cliche in a thousand films. Instantly recognizable, like Charlie Chaplin's Little Tramp, Albert Einstein's shaggy-haired visage was as familiar to ordinary people as to the matrons who fluttered about him in salons from Berlin to Hollywood. Yet he was unfathomably profound — the genius among geniuses who discovered, merely by thinking about it, that the universe was not as it seemed. Even now scientists marvel at the daring of general relativity ("I still can't see how he thought of it," said the late Richard Feynman, no slouch himself). 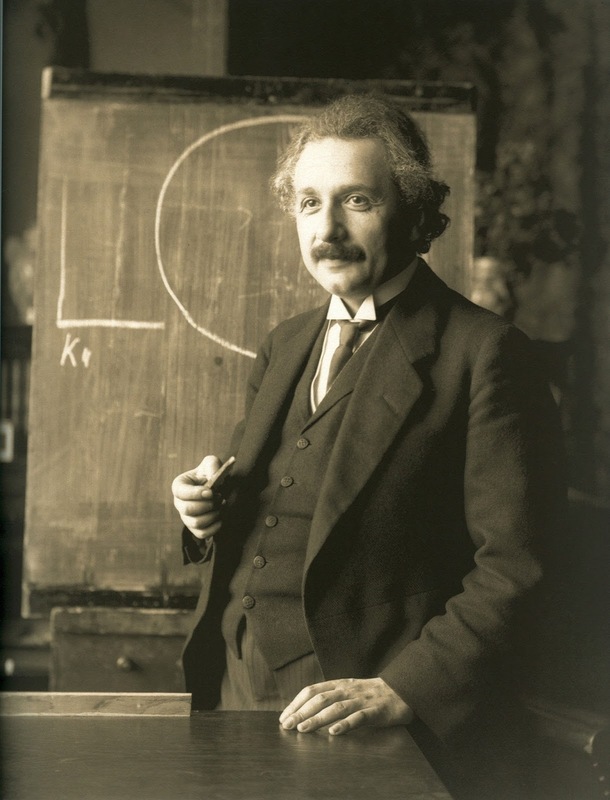 But the great physicist was also engagingly simple, trading ties and socks for mothy sweaters and sweatshirts. He tossed off pithy aphorisms ("Science is a wonderful thing if one does not have to earn one's living at it") and playful doggerel as easily as equations. Viewing the hoopla over him with humorous detachment, he variously referred to himself as the Jewish saint or artist's model. He was a cartoonist's dream come true. Much to his surprise, his ideas, like Darwin’s, reverberated beyond science, influencing modern culture from painting to poetry. At first even many scientists didn’t really grasp relativity, prompting Arthur Eddington’s celebrated wisecrack (asked if it was true that only three people understood relativity, the witty British astrophysicist paused, then said, “I am trying to think who the third person is”). The hardest thing in the world to understand is the income tax. I never think of the future. It comes soon enough. Great spirits have often encountered violent opposition from weak minds. Everything should be made as simple as possible, but not simpler. Education is what remains after one has forgotten everything he learned in school. Do not worry about your diThculties in Mathematics. I can assure you, mine are still greater. I am enough of an artist to draw freely upon my imagination. Imagination is more important than knowledge. Knowledge is limited. Imagination encircles the world. If you can't explain it to a six year old, you don't understand it yourself. The most incomprehensible thing about the world is that it is comprehensible. Common sense is the collection of prejudices acquired by age eighteen. If a cluttered desk is a sign of a cluttered mind, of what then, is an empty desk? The world is a dangerous place, not because of those who do evil, but because of those who look on and do nothing. The difference between genius and stupidity is; genius has its limits. Everybody is a genius. But if you judge a fish by its ability to climb a tree, it will live its whole life believing that it is stupid. When you are courting a nice girl an hour seems like a second. When you sit on a red-hot cinder a second seems like an hour. That's relativity. A clever person solves a problem. A wise person avoids it. Let every man be respected as an individual and no man idolized. Technological change is like an axe in the hands of a pathological criminal. Work is the only thing that gives substance to life. Never lose a holy curiosity.